I have to admit, I am really bad when it comes to sticking with one thing. I use to think products my friend's used would work on me but man was I wrong. All my friend's have flawless skin and they can use a bar soap and never have any skin problems. I, on the other hand, have oily, sensitive and acne prone skin. I have to be careful what I use on my face or else I'll break out. I never really understood what products worked best with the different skin types so I thought using anything that says oil-free would be good for me. Well the problem with that is if you use to much oil-free products, it strips all the oil off your face which makes it produce more oil. As a teenager I switched products constantly but I stuck with Cetaphil for the past 5 years. It worked great for me because it's so gentle but I noticed this year that the lotion isn't as mosturizing as it use to and the cleanser just isn't cutting it for me no more. So I've been on a search for a different skincare line and thought I should spend a little more money on it since I am getting to that age where I should start looking for anything that says anti-aging and worry about what I put on my face. Early last week, my mom and I went to the mall and I wanted to check out lancome. My mom's been using lancome for as long as I can remember and she loves it. I thought why not, I can try it out and if I don't like it, I can always return it. I got the Lancome Gel Pure Focus Oil Control Cleansing Gel, Tonique Douceur Alcohol Free Freshener, and Genifique Youth Activating Cream Serum. I am in love! I saw a big difference in couple days. My skin is clearer, brighter, smoother in texture, softer, hydrated, etc. After I put on the Cream Serum I can't stop touching my face, it's so light-weight but very moisturizing leaving my skin very soft. I don't wake up the next morning with a greasy face. 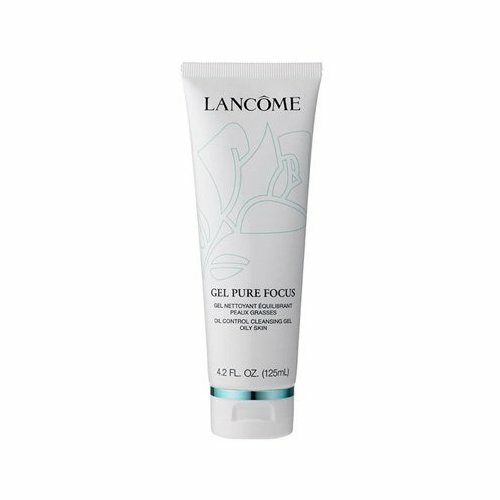 This cleanser has these micro-bead gel that instantly removes makeup and impurities without stripping away essential moisture. It works deeply into the pores to absorb excess oil before it becomes visible. Pores are tightened and refined. Soothing and cooling, this alcohol-free, pH balanced freshener gently tones and refines skin without drying or depleting natural oils. Formulated with skin-softening distilled flower-water, this ultra-refreshing formula gives skin a cool, hydrated feeling. Leaves skin perfectly clean, soft and supple. Skin feels smooth, completely comfortable and refreshed. A truly innovative hybrid in skincare technology - the skin-perfecting properties of a serum infused in an exquisitely hydrating cream with a rich, velvety texture. Boosts the activity of a genes stimulates the production of youth proteins. At the same time, this formula deeply moisturizes skin for a new level of comfort and softness. Intensely nurtured, skin feels comforted, cushiony soft, noticeably smooth and retexturized. Skin's hydration potential is maximized, its youthful quality returns: smooth, enriched with moisture, as if infused with life. 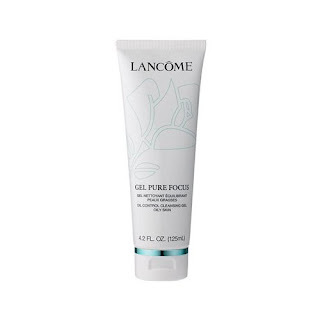 Meggiessa: I am in love with Lancome skincare. But I can't guarantee that you'll feel the same since everyone's skin is different. I would suggest buying it from a big department store where they'll let you return it after it's been used. So you can try it out for at least a month and see how you like it, if it doesn't work out just return it. heard a lot of good things about the serum ! Glad its working for you! I think my biggest issue is sticking to ONE THING! I know cetaphil and purpose are gentle and good for the skin but I always get lured into the fancy and expensive products. It just makes you feel like it'll work better if it costs a lot and the packaging is pretty haha. 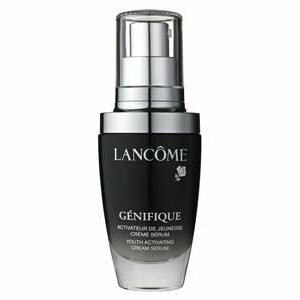 My mom loves Lancome too -- the Genifique is great! And look at all those followers! You were thinking it's going to take forever to get to 100 and now you're nearing 300 lol. I know I can't believe how many I'm getting a day now haha. pretty awesome. I rarely use FB now cuz this keeps me busy.